Several owners have reported seeing a bobcat in the neighborhood, in the area of Sawmill Lakes Blvd. PLEASE be careful not to leave pets outside unattended. Report any sitings to Kristy Richland at MLMC so we may continue to notify residents. The Beaches Energy Services (BES) now has available an e-mail address specifically set-up for reporting streetlight problems. The e-mail address is streetlights@beachesenergy.com. You can report streetlight problems using that e-mail address or phone a problem into the BES dispatch at (904)247-6171. And, as always, you can report a problem to our Property Manager who will be happy to contact BES. Please take a minute to review/update/register your email information on our community website, if you have not already done this. It’s the most efficient way to ensure you receive all community news, updates, straw poll surveys, and helpful communication. Our owner/resident website directory is NOT available for view by the public at all, and is only available to fellow SML residents if you say "yes" in your profile. You have total control over what information is shown in our resident directory on the website. The information is used by the Board to send helpful communications about our community. Rest assured, email information is NOT SHARED outside our HOA for any purpose, ever. Note that all official HOA notices are still sent via US Mail, using the address on file with Marsh Landing Management. A small few are doing all the work for 371 homes and families. Would you like to help? Lots of ways available. Contact The SML Board HERE. Many residents are often confused or incorrect about how to properly leave yard waste out for Thursday curbside collection. 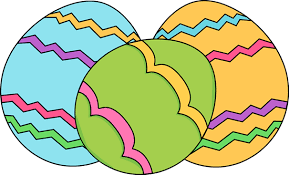 The County and Republic Services have recently published information to help which you can view by clicking HERE or by using the link on the Helpful Links page of the website. Yard waste that can not be placed as indicated, such as a whole tree, requires special attention and collection, and a fee can be imposed for this collection. Contact Republic Services with any questions or for special pickups. When hiring contractors to trim trees, shrubs, palms, etc., keep possible collection prep efforts and fees in mind, and consider choosing a contractor who will remove the debris as part of their service. If you are new to the neighborhood or are just not aware, please note that the preserve areas around our neighborhood are almost all protected under conservation or drainage easements, granted to SML through permits with the State of Florida and the Army Corps of Engineers. Activity in these areas is SEVERELY RESTRICTED and enforceable BY LAW, as well as by the HOA through the Covenants & Restrictions. The bottom line is....Don't touch. That includes the DUMPING OF ANY STORM DEBRIS or yard clippings. No cutting, clearing, planting, dumping, building, mulching, etc., may occur in these areas. The areas are to remain COMPLETELY natural and unaltered. Preserve branches that grow over or fall into your usable property can be cut back and removed by you to the property line, but no further. If a tree in the preserve area appears damaged, diseased, or has died and poses a threat to your property, please contact Marsh Landing Management to request a review and take-down. When in doubt about an area that borders your property, consult your appraisal/plot survey. The easement areas are noted. Thank you for taking time to understand our obligations with regards to these important and protected areas. SML HOA dues are due every January 1 and July 1. Don't want to worry about being late? Set up an automatic bank draft with Marsh Landing Management. Are you behind in your payments and racking up late fees, interest and collection fees? Wondering what to do before legal action occurs? Contact Marsh Landing Management to discuss a plan to get your account current. HAVE YOU READ YOUR COMMUNITY DOCUMENTS? If you haven't read through the Sawmill Lakes official documents in a while (or maybe never? ), now would be a great time to take a few minutes to make sure you are familiar with the requirements outlined in them. These documents were created for the benefit of everyone living here, to ensure that the quality of our lovely neighborhood remains at the level we all expect and enjoy. They include the Covenants & Restrictions, Rules & Regulations, and Architectural Guidelines. Click here to see these documents which can be downloaded and printed as needed. SML Garage Sale May 4th! Mark your calendars! 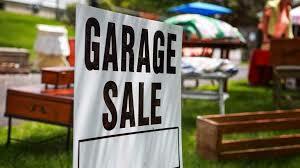 The bi-annual Sawmill Lakes garage sale is Saturday, May 4th. The rain date is May 18th. Hello! Below are the initial dates for Sawmill Lakes social activities. Please come join us! Welcome to the Official Website of Sawmill Lakes! Many of the pages are restricted for the use of owners and residents only. If you own or live in Sawmill Lakes and are not yet a registered user, please click on the "register" link to the left, and set up your account to gain full access and enjoy all the features. Please send us your feedback regarding the website. What would you like to see on your website? Click here to contact the website administrator. And be sure to check back often for updates and helpful information. The content of this website in under the direction of the current Board of Directors with the support of community volunteer administrators.